Experts are calling on the federal Transportation Safety Board to investigate a deadly bus crash in Ottawa to prevent similar incidents. 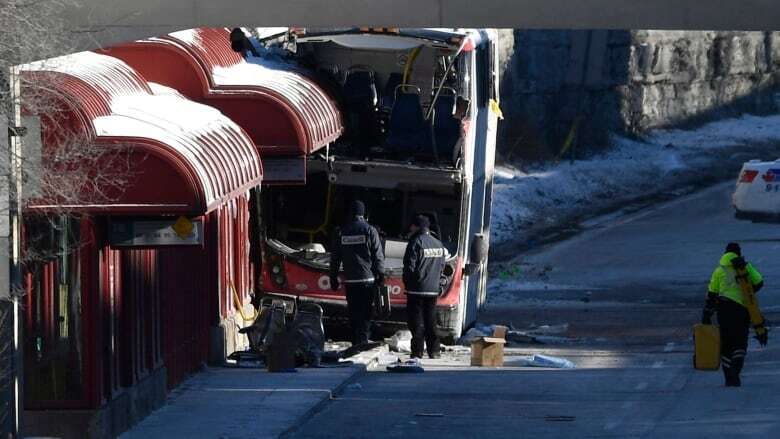 On Friday afternoon, a double-decker bus operated by local transportation agency OC Transpo hopped a curb and struck a transit shelter, which carved deep into the vehicle's upper level and crushed a number of seats. Three people were killed and 23 people were injured. 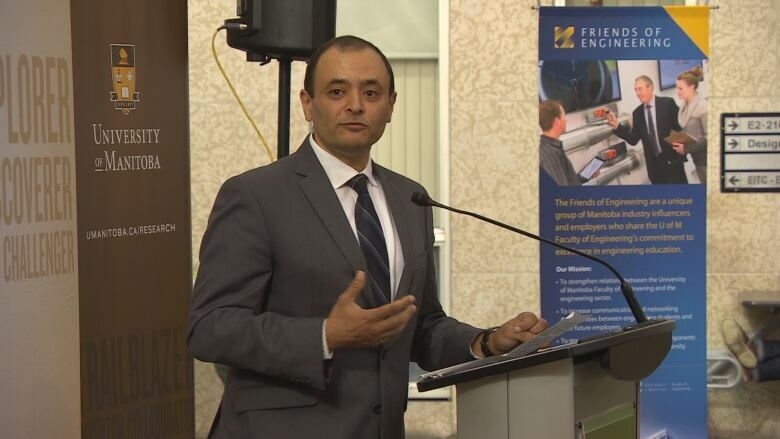 Ahmed Shalaby, a civil engineering professor at the University of Manitoba, said the TSB should look into the crash to ensure the investigation is transparent and recommendations are made to improve safety across the country. "The bus was carrying 90 passengers," he said. "Is that not important enough to warrant a federal safety investigation? If it isn't, then what is?" The safety board confirmed it is not investigating the crash as the federal independent agency only probes marine, pipeline, rail and air incidents. "If this bus were a train, the [board] would immediately investigate. That's not enough to make a difference to me," said Shalaby, also the chair of a research program on municipal infrastructure. The board's mandate is to advance transportation safety by conducting investigations that result in public reports and making recommendations. "As part of its ongoing investigations, the TSB also reviews developments in transportation safety and identifies safety risks that it believes government and the transportation industry should address to reduce injury and loss," said the description on the government of Canada website. But Shalaby said the kind of vehicle involved in a mass-fatality crash shouldn't make a difference in what spurs a government-led investigation. "We've been here many times before," said Shalaby. "These federal investigations need to happen. The question is when?" Shalaby said he wants the City of Ottawa to ask the federal safety board to be involved in the investigation, which is being led by Ottawa police. The police force has released little information about the crash, citing a sprawling investigation dealing with numerous factors that will take time to reveal answers. Hours after the crash the bus driver was arrested, but she has since been released unconditionally pending further investigation. On Saturday evening, police finished documenting the scene and reopened nearby roads. Const. Chuck Benoit said police continue to investigate the circumstances of the crash, and if the police force believes additional agencies are needed, they would be sought out. Graham Larkin, executive director of Vision Zero, which works towards reducing traffic-related deaths and injuries, said he also believes the board should be involved in the investigation since these types of crashes have occurred before. For instance, in 2016, a 14-year-old boy was pinned underneath an OC Transpo bus that jumped the curb and slammed into a bus shelter. Larkin said the safety board's job is to make recommendations, while police aren't mandated to do so. Both he and Shalaby said there's a significant difference in the number of fatalities in road incidents than other modes of transportation the safety board looks into. In 2016, there were 1,898 motor vehicle fatalities, 66 rail fatalities, seven marine fatalities and 34 fatalities involving Canadian-registered aircraft, according to the federal government's website. It also said there have been no fatal accidents "on a federally regulated pipeline system directly resulting from the operation of a pipeline" since the board was created in 1990 — however, one person was seriously injured in 2017. "It seems crazy to ignore road safety," said Larkin. "There's no reason the government shouldn't be taking a lead on this."